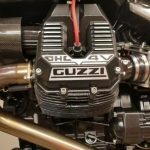 Much as Moto Guzzi's purchase by the Piaggio Group saved the company from possible [likely?] 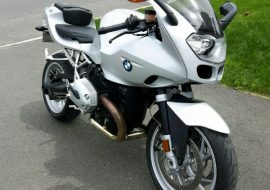 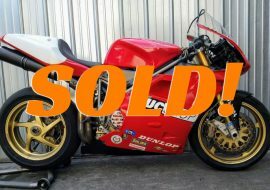 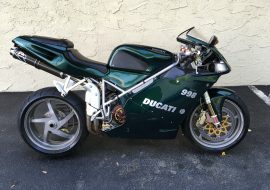 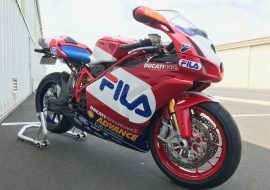 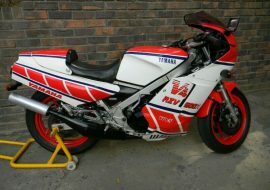 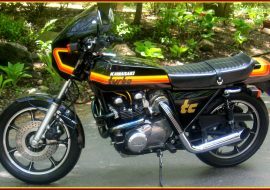 extinction, it also doomed any chance that a new superbike to compete with Ducati or Aprilia would see the light of day. 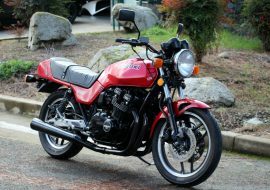 And one did reach the prototype stage, with a narrower-angle, longitudinally-mounted [I will die on that hill] v-twin that improved cornering clearance, with liquid-cooling, four valves, and a chain final-drive. 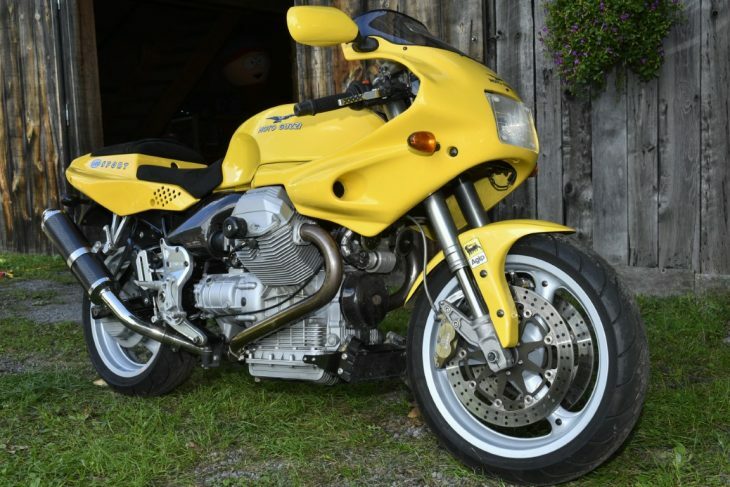 So for the foreseeable future, today's Featured Listing Moto Guzzi MGS-01 is the closest we will get to a true sportbike from Mandello del Lario. 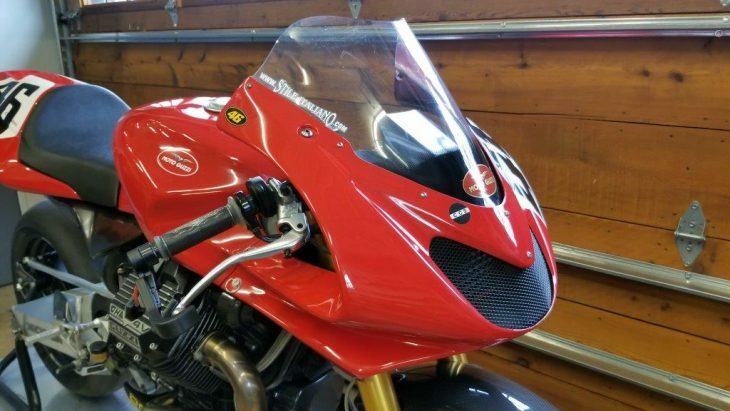 With no headlight or signals and just a mesh screen covering the air scoop that led to an oil cooler, it's pretty obvious that the original MGS-01 Corsa is a track-only machine. 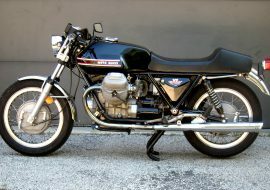 A roadgoing "Strada" version was supposed to follow, but unfortunately never materialized. 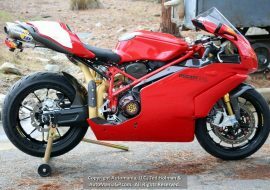 In spite of a design that dates back to the early 2000s, the lack of bodywork and unnecessary stylistic flourishes mean it's aged well and the bike looks very spartan and purposeful. 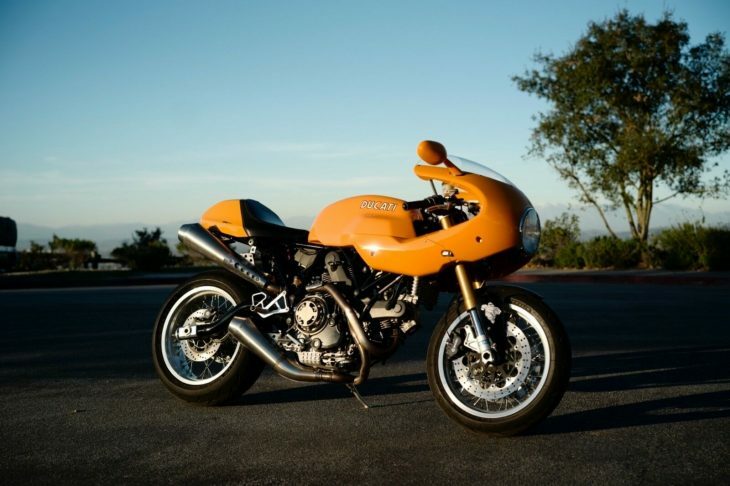 It's quite obviously based around the standard Moto Guzzi Daytona powertrain that uses the air-cooled, four-valve "high cam" engine, the V11 Sport's six-speed box, and shaft drive. 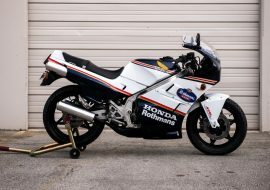 But beyond that, it's had a raft of high-performance parts thrown at it and is stripped to the bare minimum to save precious pounds, and lacks any sort of road-legal lighting. 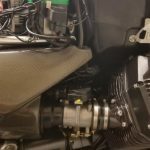 New internals took displacement out to 1225cc and the updated mill was good for 122hp and a staggering 82 lb-ft of torque. 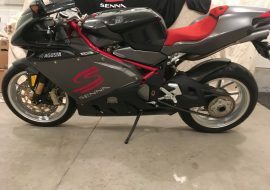 Period reviews of the Corsa were very flattering, with the usual caveat that it wasn't really light or powerful enough to compete directly with the likes of something like a Ducati 999 in Superbike racing when it was new. 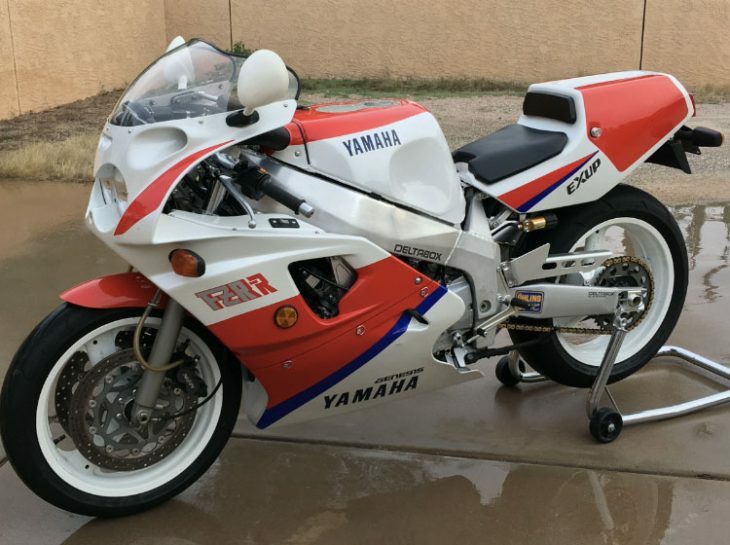 So, aside from a couple of race series that catered to big, air-cooled twins, it was really just a very expensive track-day toy. 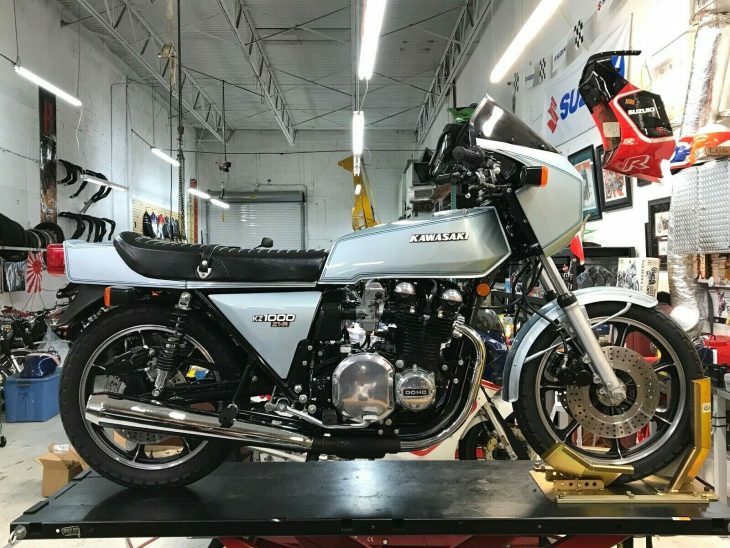 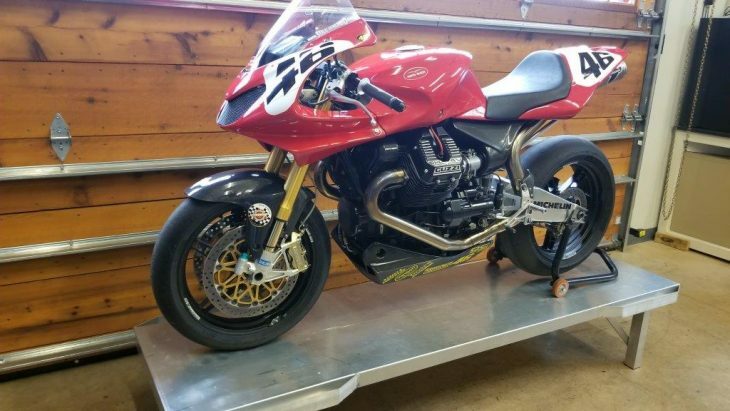 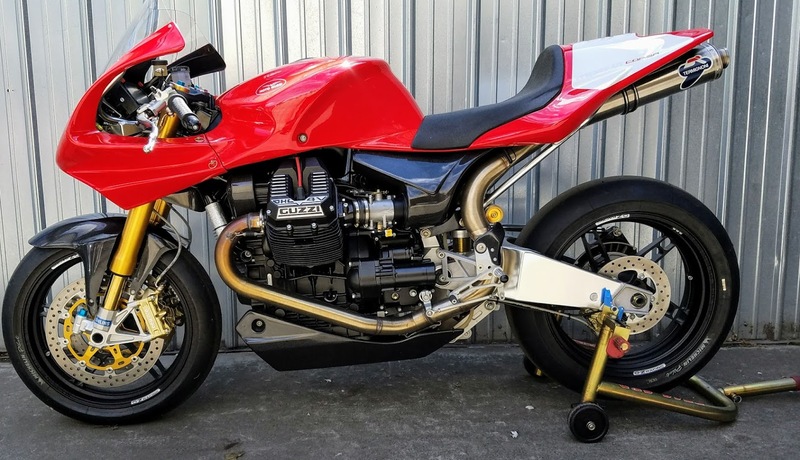 These days, it does fit within the rules for several AHRMA classes, so well-heeled contrarian racers can fly the flag for Moto Guzzi and mix it up with other unconventional sportbikes, as the owner of this example appears to have done. One of approximately 120 produced between 2004 and 2006. 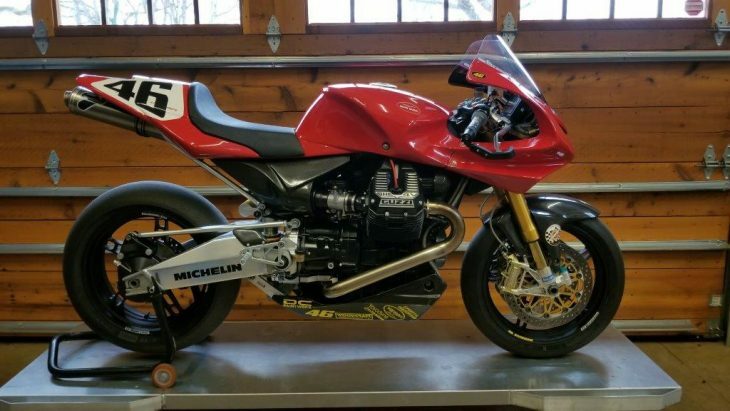 The model was an absolute show stopper at Intermot 2002.Unfortunately, the model only saw a short production run prior to the takeover of Moto Guzzi by Piaggio and was ended soon after. 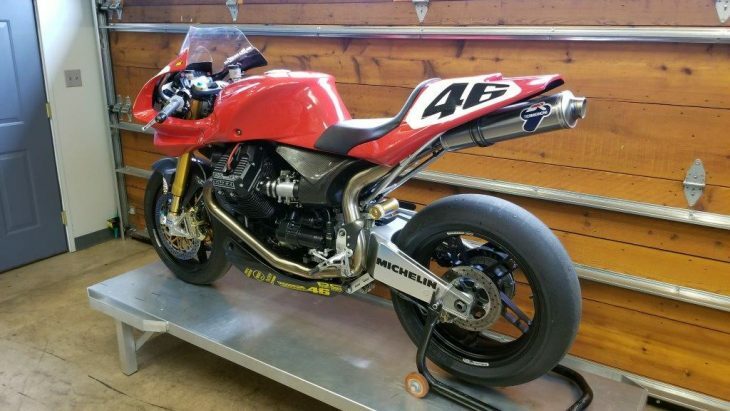 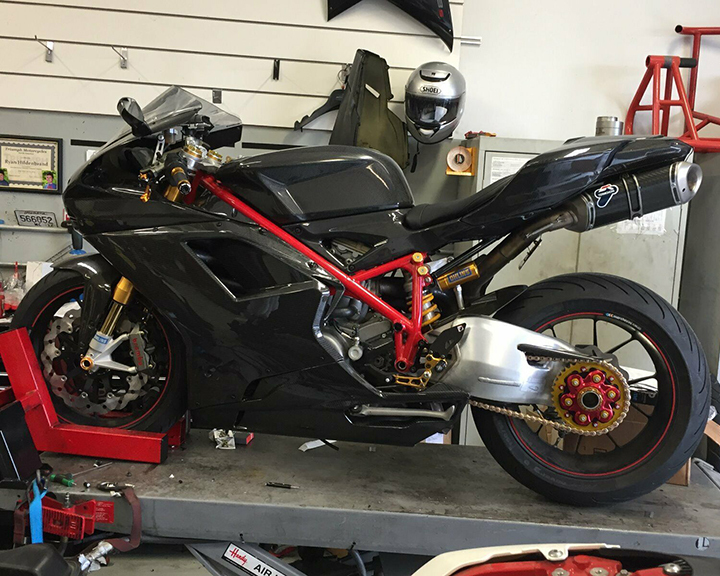 This example was originally delivered in Italy where it saw about 750km of track use and was imported to the US in 2014 by its current owner under a racing exclusion with the EPA which is a bit of a process. 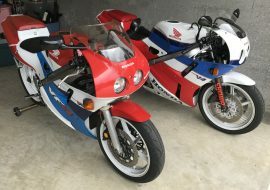 The MGS-01 Corsa model was produced for racing use only cannot be legally registered for street use in the US under any circumstances with a hefty penalty if it ever gets the VIN run through. 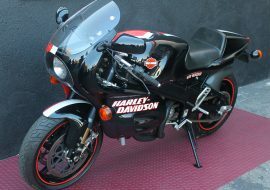 The characteristics of the bike are those of a Hot Rod fused with a race bike. 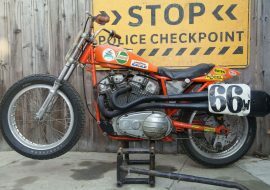 It’s obvious weight number of 420 lbs. 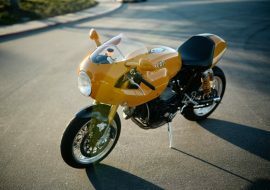 disappears once it is rolling and is amazingly nimble. 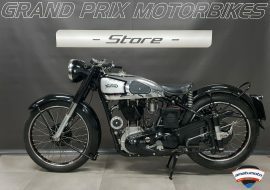 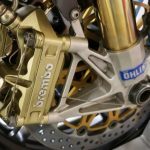 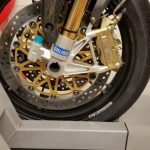 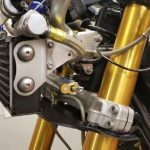 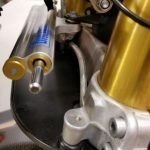 Thanks to the tireless development of the racing program for many years including that by Dr. John Wittner, the disadvantages of having a shaft drive vs a chain drive was virtually eliminated by design of the rear of the bike. 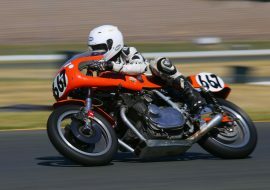 The handling is that of a proper racing machine in all aspects. 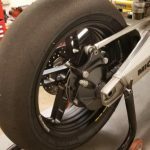 Power is linear from near idle to 8000 RPM’s with torque that lets you pick a gear to suit, showing that a lack of ability to make gearing choices is not an issue. 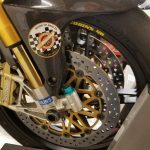 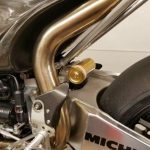 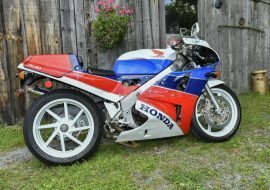 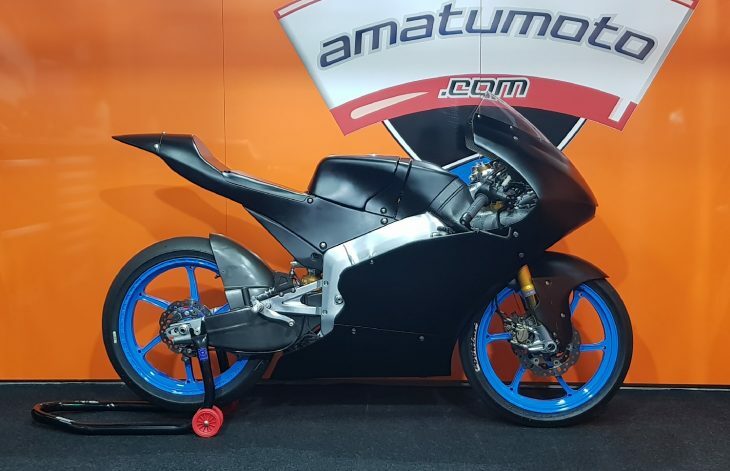 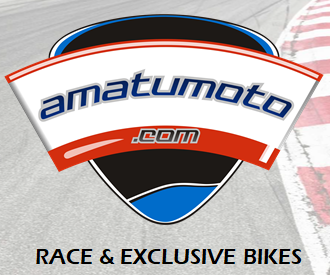 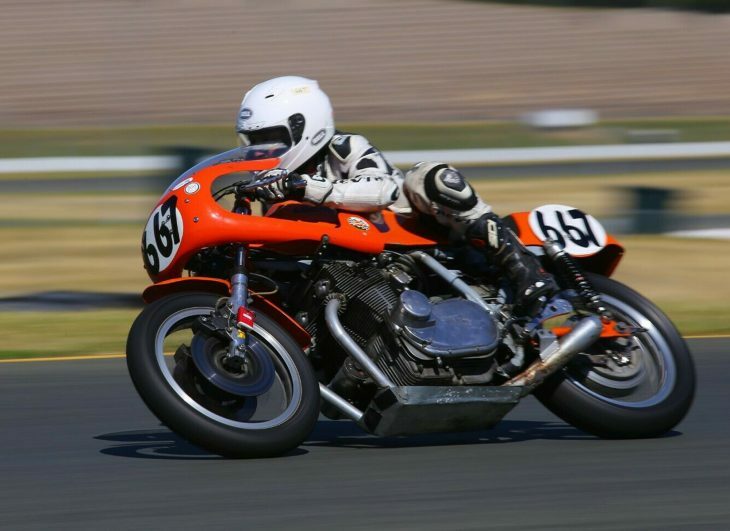 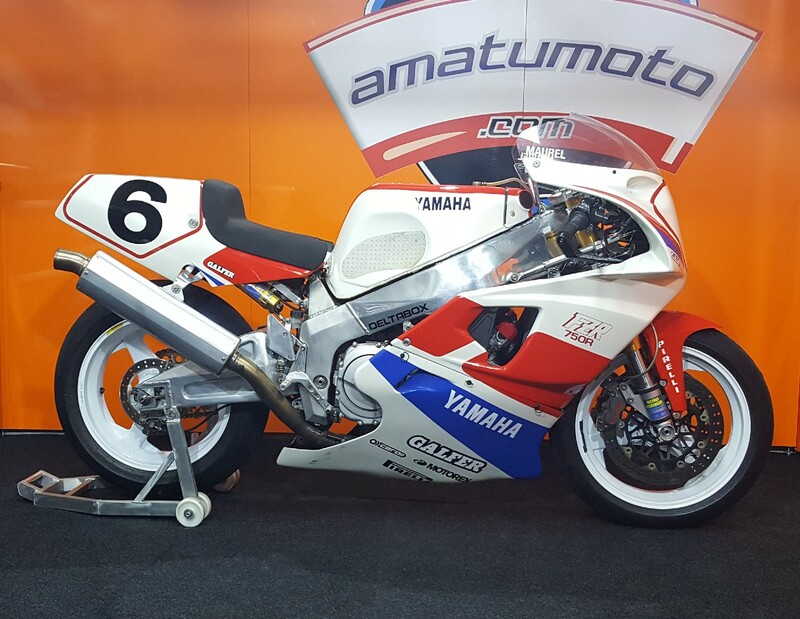 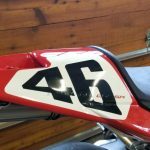 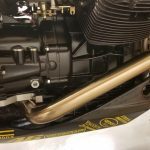 If one chooses to race the bike as its current owner has on occasion, it is a perfect fit for the “Battle of the Twins” class in AHRMA where air-cooled bikes only compete. 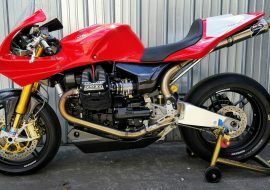 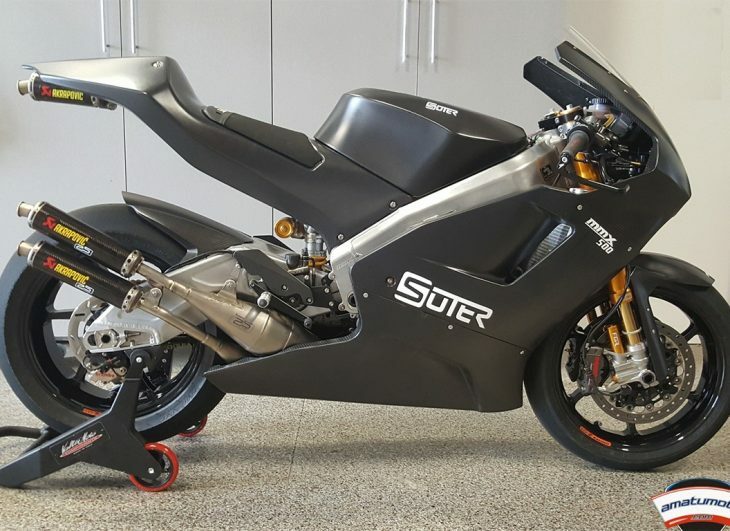 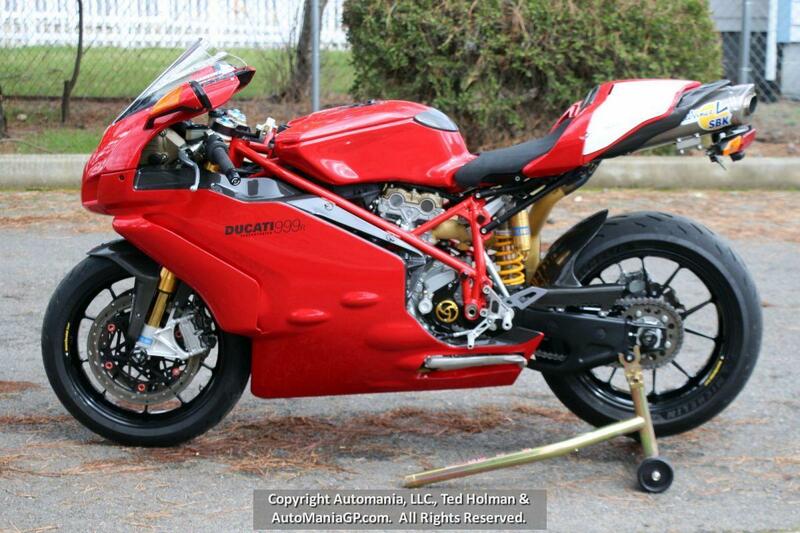 It also fits in the AHRMA “Sound of Thunder 2” competing with the likes of Ducati 848’s triumph 675’s etc. 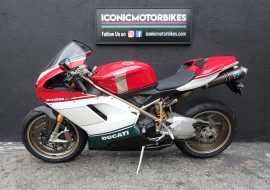 For the collector only for display, please be aware that the bike as it has a couple of flaws from being used, but is still brilliant and original in it’s overall condition. 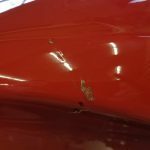 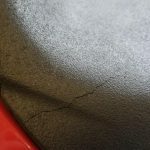 It has never been down or off track or in the rain, just a mark on the tank cover and a small tear in the seat foam as shown from being bumped off the stand and hitting a toolbox. 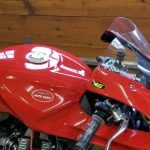 It also has a small crack at the base of the windscreen which is concealed by the Moto Guzzi decal in the photo. 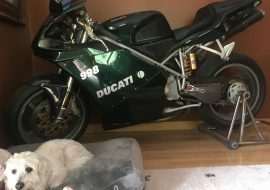 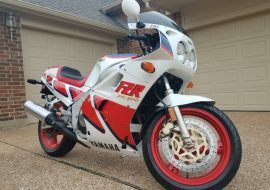 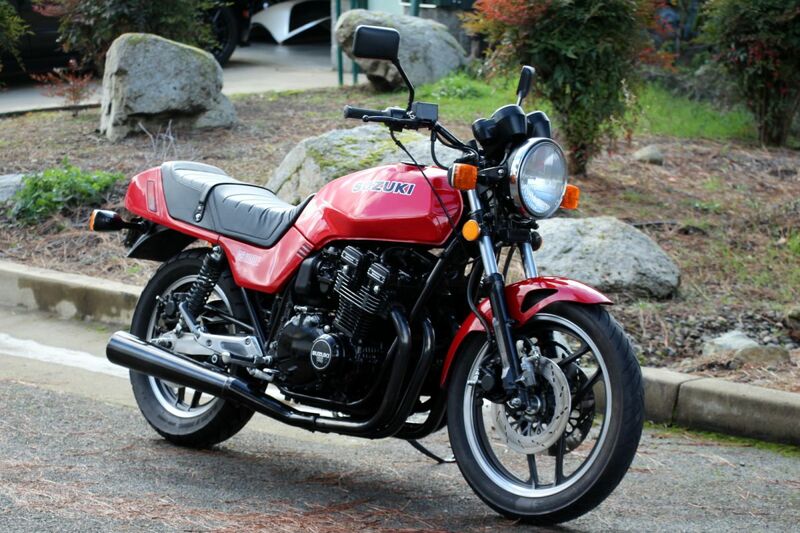 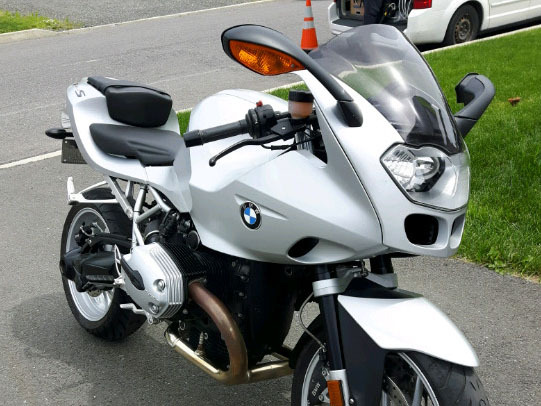 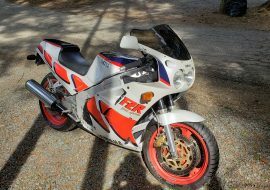 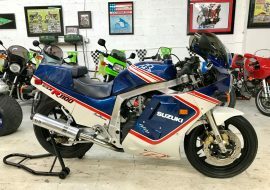 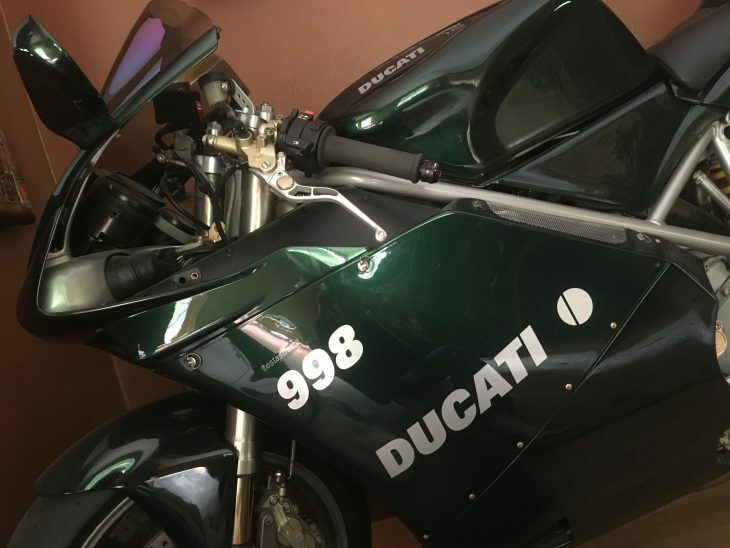 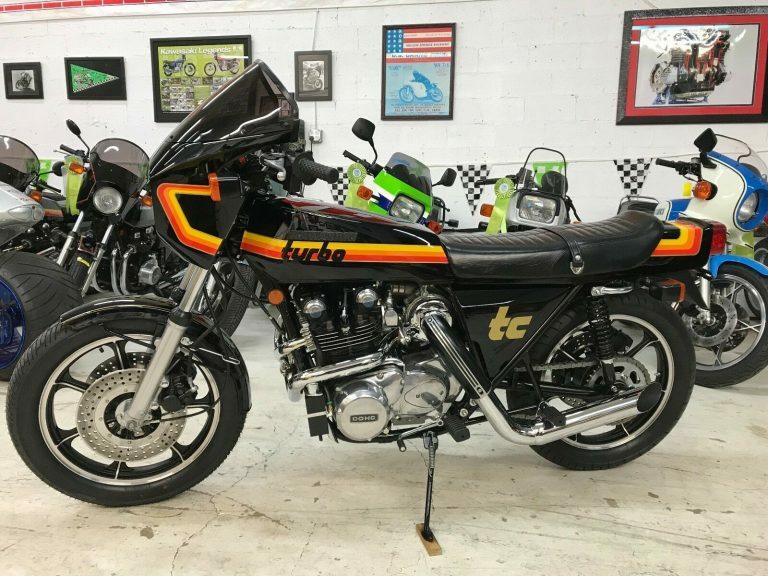 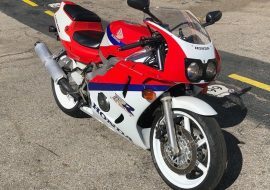 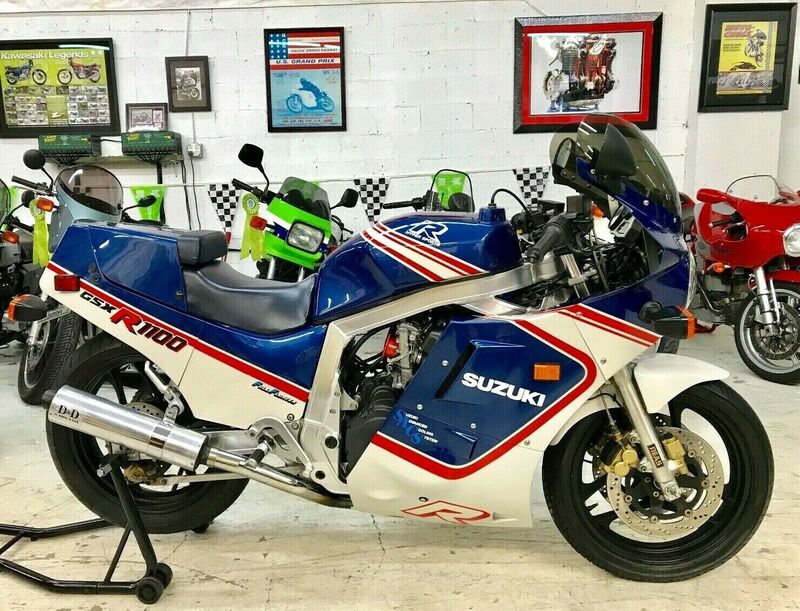 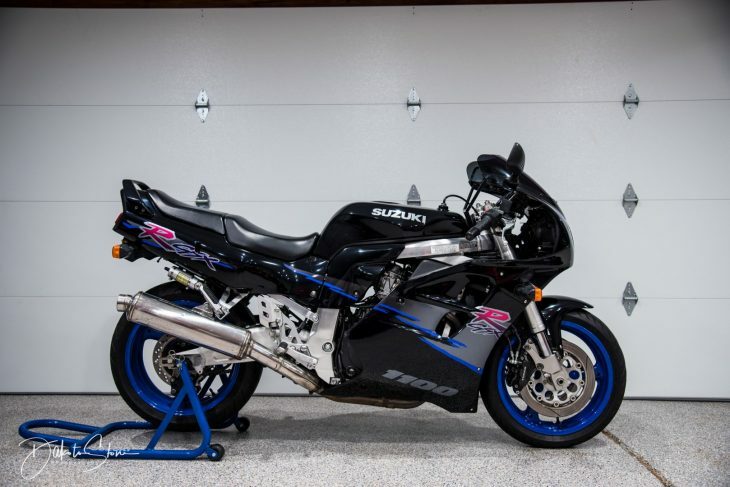 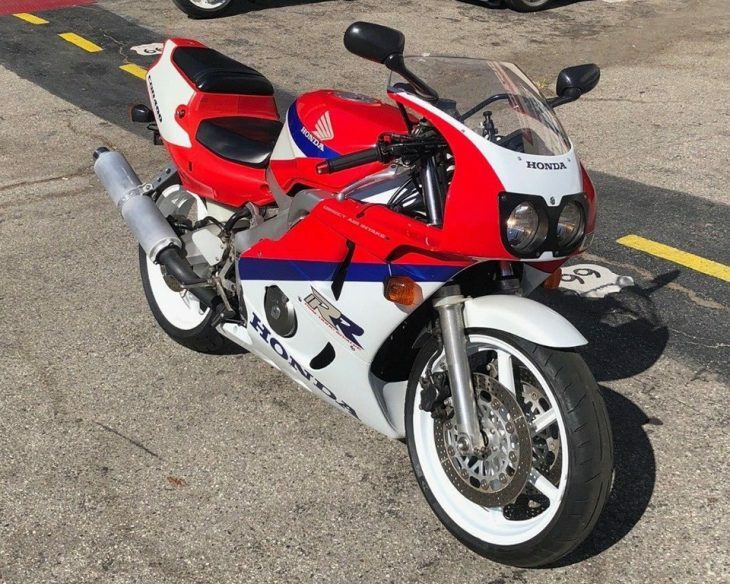 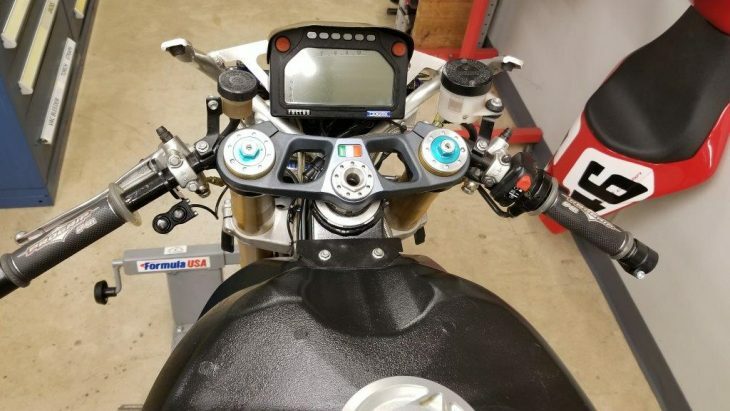 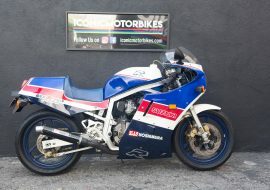 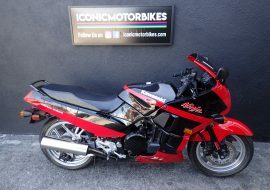 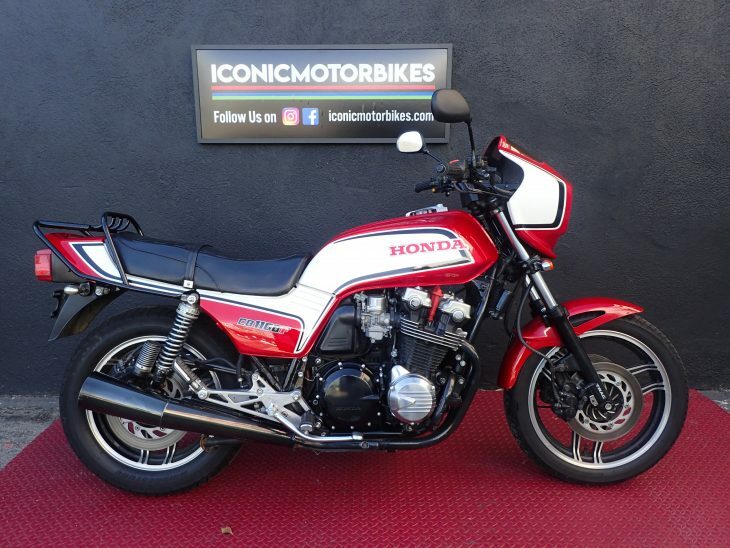 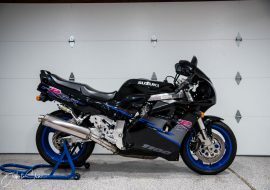 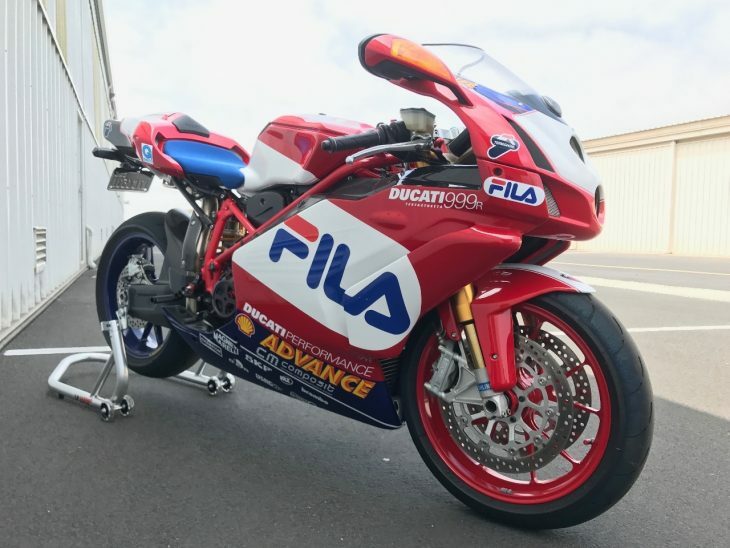 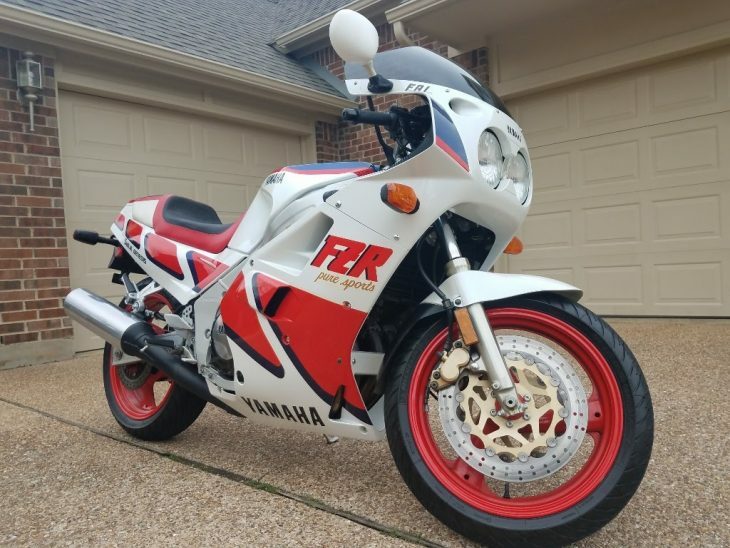 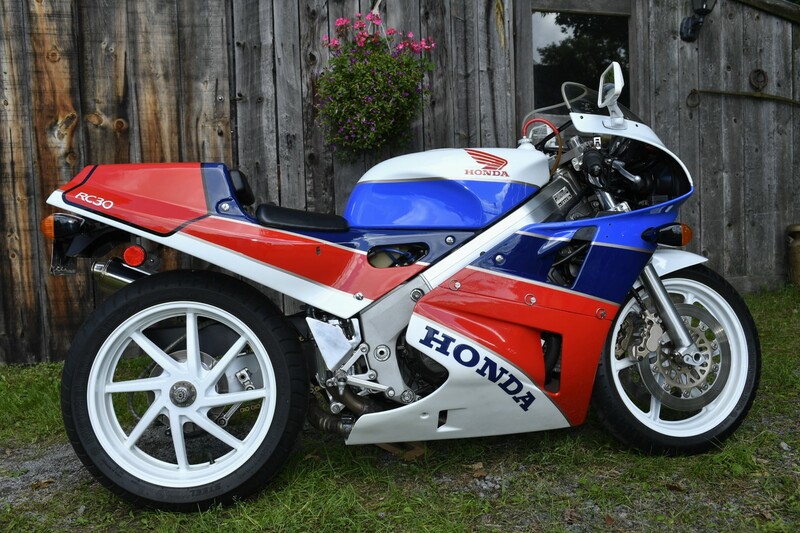 It currently has a Trans Logic servo push button shift unit as the current owner has trouble shifting the bike due to limited foot movement, which is why he is reluctantly selling it. 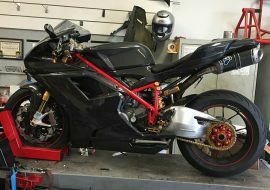 The unit will be removed and no wiring has been cut or modified. 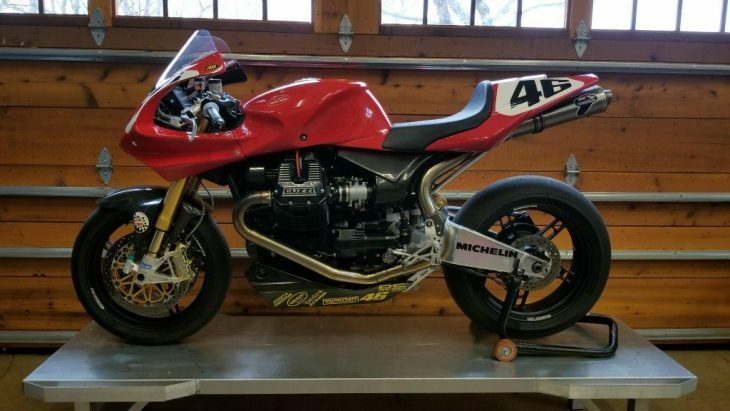 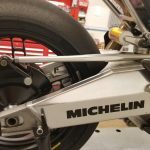 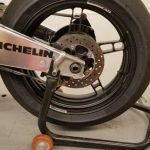 Everything is in perfect working order and comes with Michelin EVO Slicks that were fresh at Barber in October 2018 with one practice day on them. 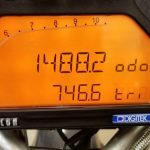 The current owner has logged another 750km since 2014. 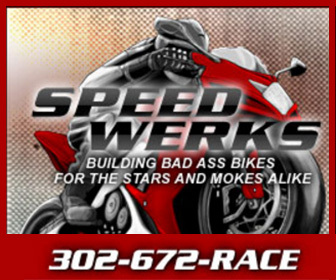 Delivery within a reasonable distance of Southeastern PA can be arranged. 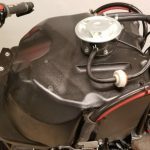 Dry weight: 192 KG/ 423 lbs. 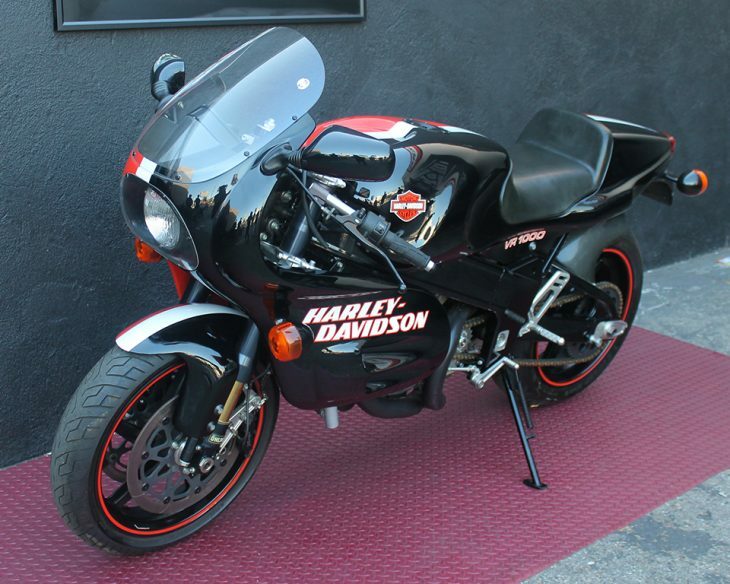 Asking price is USD $ 43,500.00. 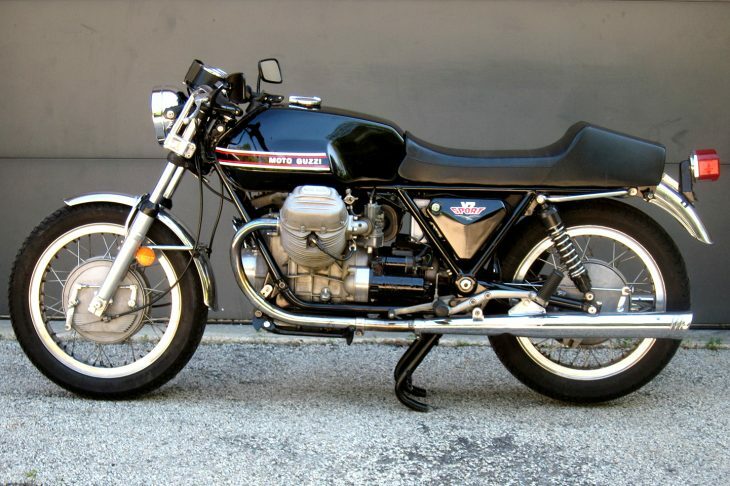 Considering Guzzi's current status as a "heritage brand" for the Piaggio Group, it's amazing that these attract so much attention when they come up for sale. Unusually, this one has been modified to suit the owner and has seen some actual racing, which means it's not completely pristine, but Guzzis are famously durable and a bit of patina adds character. 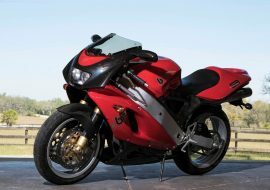 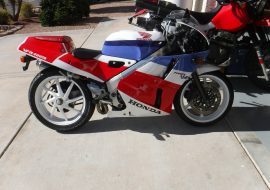 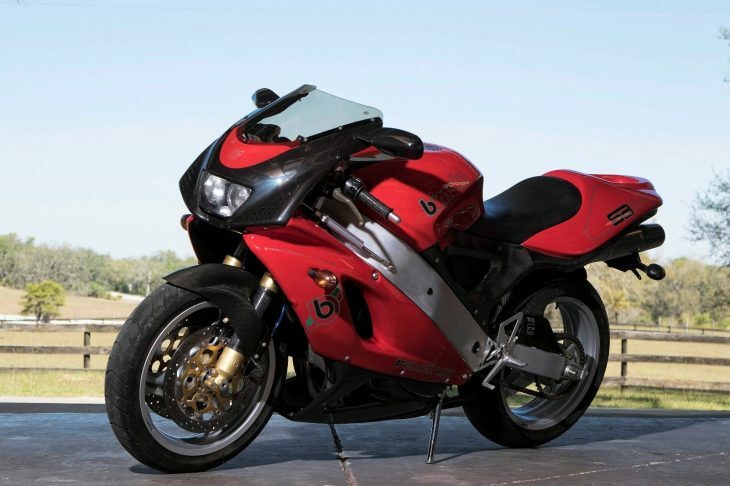 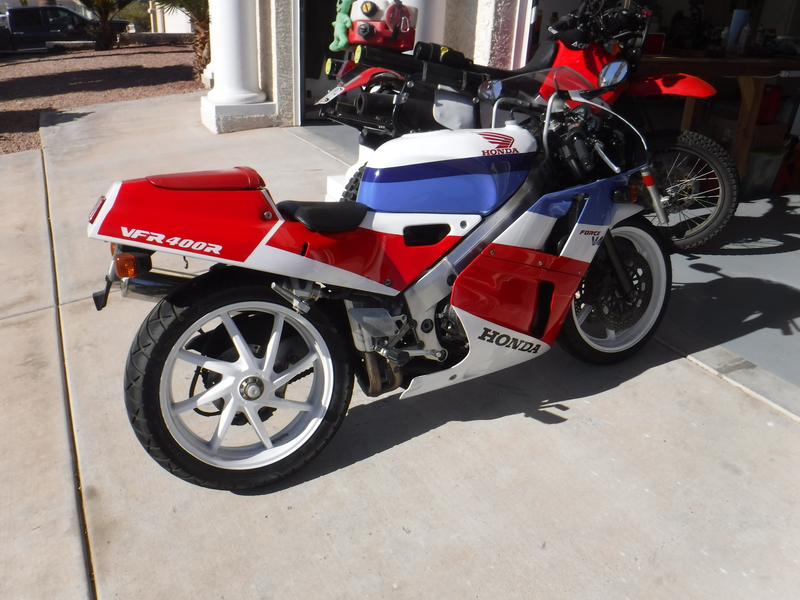 It also means the bike will spared the fate of so many collectible sportbikes, doomed to sit and slowly decay. 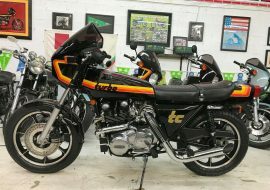 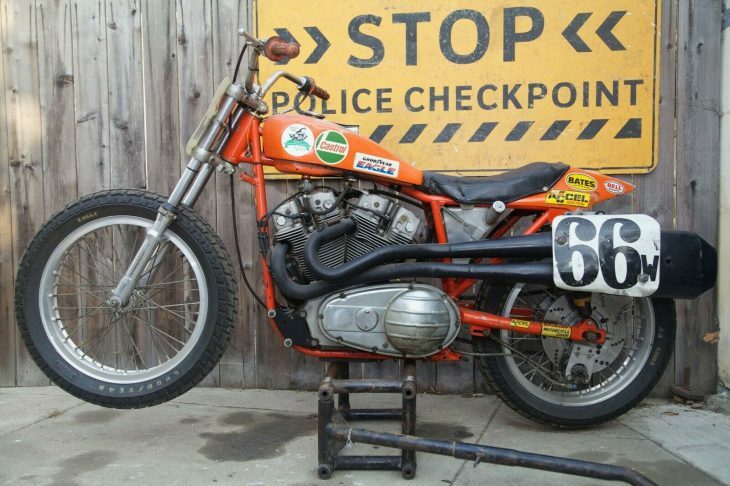 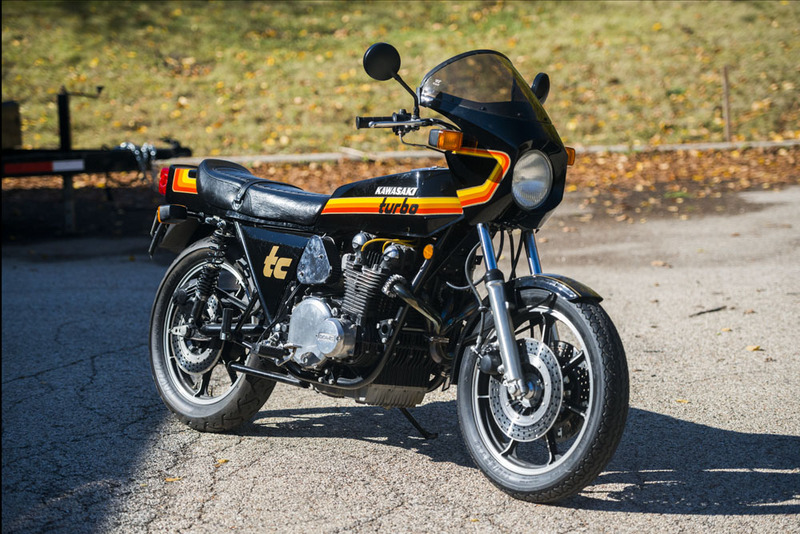 As the seller mentions, very few bikes were produced, with as few as 50 originally sent to the US to compete in the AMA's Battle of the Twins series that allowed larger air-cooled twins to compete or, more commonly, to be used as track-day toys or the aforementioned display pieces.